Wang Lixiong is a Chinese writer and scholar best known for his political novel, China Tidal Wave, which was ranked 41st in the 100 Most Influential Chinese Novels of the 20th Century by Asia Weekly. It has gained widespread popularity in China and worldwide media attention while Wang is regarded as one of China's most outspoken dissidents and reformers. 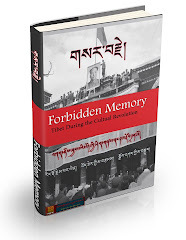 This was translated for Asia Sentinel by Tsering Namgyal, a Tibetan scholar and writer. In my 1991 novel China Tidal WaveI wrote about the collapse of China and the resulting mass migration of millions of Chinese into the world, thereby triggering various conflicts. As of today, more than 20 years later, it continues to sell. On the surface this might seem surprising, but actually it is not. As long as the future of China remains uncertain, the collapse of China cannot be ruled out entirely. Perhaps this is why China Tidal Wave Peril continues to attract its share of readers. Yet over the past 20 years, the scenarios in the book did not come true. The direction China is taking is also very different from the one foretold in the novel. But I often think that China, far from averting the apocalypse portrayed in the book, continues to inch closer toward disaster. China, they say, has gone through many crises such as the Warlord Era (in the early 1900s), the Opium War, the Japanese invasion, the Cultural Revolution and the Tianamen Square massacre, all of which it survived relatively unscathed. Thus critics say that predictions of China's collapse are overly pessimistic. In this regard, first we should discuss not China's crisis but its stability. 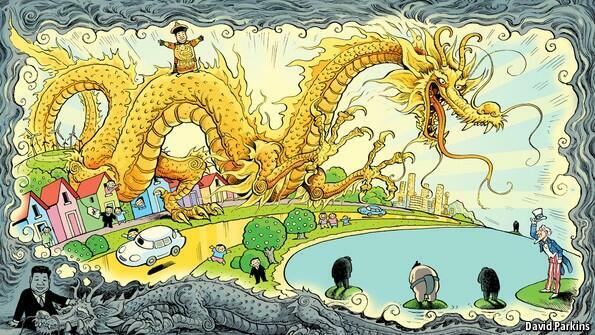 In fact, it is precisely under stability that we often see China?s biggest crises. A truly stable country should have many ways of regulating society: political stability is just one of them. Others institutions, such as civic and religious organizations and political parties should all play a role in helping ease pressures. Culture and tradition, religion and faith, morality and ethics all help stabilize society, and so does the legal system, the invisible hand of the market and an army that follows the constitution. In China, however, there is only one force regulating society ‑ the government. The role of stabilizing society has become the monopoly of the government and political power belongs solely to the Communist Party. Anything that threatens the party is suppressed or banished. As a result, the party relies on its administrative network and the police force to rule 1.3 billion people. As a result, the party itself has become China's greatest risk. As soon as the party collapses, the whole country would lose its balance. In this sense, the CCP holds he all of China hostage: as soon as the CCP faces the end, China will meet with the same fate. The officials and businessmen, who hail the "Golden Era of China," know what would happen if China collapsed. The fact that they are gradually siphoning their wealth offshore is a sign of the looming crisis. Of course, because people are unable to find an oppositional force strong enough to challenge the government, many people believe China will not change and there will be no collapse. A major transformation, however, will not necessarily come from a big power or a big event that would be the last straw. Such changes more often than not occur unexpectedly. The classic example is the fall of the Soviet Union, an event that few Soviet experts were able to predict. During Mao Zedong's era, millions of people died of starvation but it had little effect on political stability because politics and economics were separate then. Politics was above everything else while economics was just a part of the equation. Therefore, economic crisis did not impact political stability. However, Deng Xiaoping put economics above politics, and economic growth was considered a panacea for all social ills. In other words, it is like spending money to buy stability and trading people's consent for material benefit. This closely linked public approval with public interest. Now, any economic problem is simultaneously a political problem. If the public continues to enjoy benefits, there is widespread calm; if they have no benefit, there will be discontent. Stability is contingent upon economic benefit. Since there is a fine line between the two situations, such a society can change at a moment's notice. Under this circumstance, political and administrative units have to keep the economic engine running. Economic development, however, does not occur in a linear progression; it is cyclical and it has its ups and downs. There is not a single major economy in the world that has not suffered a crisis. The Chinese economy is no exception. Stability will be put to a test not during good times but during difficult ones. The Chinese economy has many potential dangers, and there are impending crises on the horizon. They could take many forms such as the traditional crisis of overcapacity, or a modern financial crisis or a global economic crisis as a result of disruptions in the supply chain. In a society that puts economics above everything else, people no longer believe in ideology. Totalitarian regimes, therefore, can no longer rely on ideology to justify their rule and democratic means are also off limits. Therefore, it is left to rely on its "usefulness" to validate its rule. For the Chinese Communist Party, its "usefulness" lies in its ability to maintain continued economic growth. Yet as soon as there is an economic crisis, the government will lose its main claim to "usefulness" which could lead to political crisis, which, in turn, would trigger social crisis. China is a unique case in that tremendous instability at the local level (every year there are over 100,000 mass protest incidents) co-exists with extreme stability at the national level. The authoritarian regime can stop the local protests from joining together. The authorities can combine absolute control over arms, organizational networks, communication prowess and responsiveness to suppress resistance. Occurring at different times and in different places, no single local movement can fight the power of the regime. The only way to reverse the balance of power is for all the local protests to occur simultaneously so that it becomes a national protest. This would divert the regime's resources, weakening its otherwise advantageous position. It is not surprising at all that the government would see this as its biggest enemy. Most of repressive measures ? restrictions on political parties or organizations, bans on newspapers, and strict control over NGOs ? are all rooted in the goal of preventing protests from spreading. Methods of political rule, which have been in development over thousands of years, and advanced technology have given the communist regime an unprecedented ability to rule, making it perhaps the biggest beast of governance in history, and almost invincible. While authoritarian regimes might be able to stop people from connecting at the political level, they are unable to stop people from connecting in their daily social and economic activities. This is particularly impossible given that the essence of the market economy is its interconnectedness. In the current era of a closely integrated economic society, it is often stock market crashes, financial crisis or large-scale unemployment that would cause turmoil. Political repression often fails to avert such large-scale unrest. On the contrary, the more effective the government's repressive measures, the more likely for the society to manifest change through such large-scale protests. In my opinion, the transformation in China will come as a result of a mass uprising triggered by an economic crisis. The thesis that China would not collapse is based on the argument that nobody is actually willing to cause trouble. Yet we know from Game Theory (for instance with the case of the "Three Prisoners Paradox") that what might be a rational decision at the individual level often leads to a very irrational decision at the collective level. This is called "non-cooperative equilibrium." In non-cooperative equilibrium, individual interests are detrimental for the group as a whole. Such a conflict between individual and collective interest is far more common than suggested by the economist Adam Smith's "invisible hand" (where the market acts as a self-regulating force, creating an equilibrium which is in the interest of all). So the argument that China would not be chaotic because nobody is willing to rebel is not feasible. The thesis that few would choose to create problems is dependent upon rational decisions while whether China will be chaotic will depend upon collective behavior. 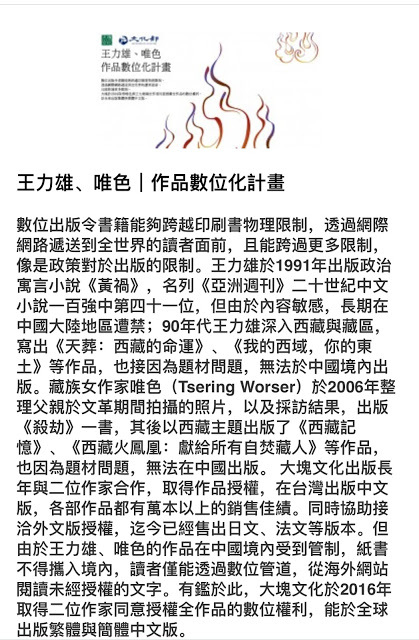 Even though the situation in China Tidal Wave is quite tragic, some thoughtful readers believe that my assessment is quite sympathetic. Since I did not want to see too many people dying, I have created many miracles (for example a "pumpkin" that can could grow in a few days and mass migration of Chinese into the world in a fairly organized manner). All of this, however, is not likely and is not logical. Having said that, this is a novel. Let us say the probability of such a crisis happening is extremely small. However, if their dire predictions and concerns about China?s future eventually help avert such a crisis, then the pessimists -- though some might think they are lunatics -- would have achieved some purpose. Some believe that China will continue to enjoy 20 more years of fast-paced economic growth. As long as the economy is good, it should be able to deal with the worst things imaginable. If the economy continues to grow, pessimists will be blamed for crying wolf. I, however, believe that China's crisis will come sooner or later and the only question is when. Even if there are 20 more years left, that is not a long time in the sweep of history.